In our continuing series of 47 films to see before you are murdered in your dreams we present Walk Hard: The Dewey Cox Story. 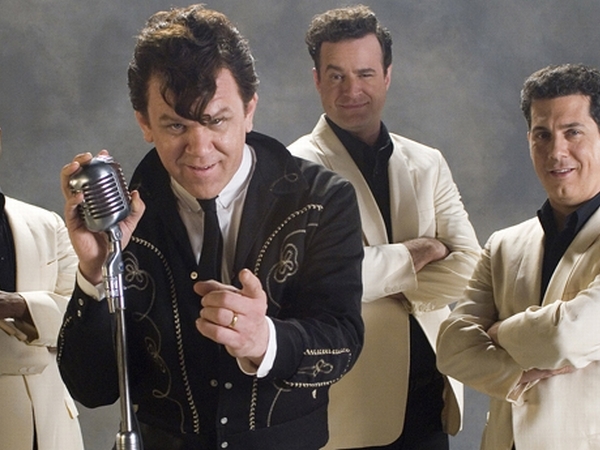 In 2007 John C. Reilly released a film that rocked Hollywood. That film was Walk Hard: The Dewey Cox Story. “We took the clichés of movie biopics and just had fun with them,” Reilly said but in actual fact Walk Hard subverted every expectation and rewrote norms. The film stands as both a broad parody of Walk the Line and other music based biopics as well as an exploration of creativity and destruction, the sacrifice of the artist and the dangers of light-hearted machete fighting. Dewey Cox grows up on an idyllic farm, poor but happy. Following a terrible accident, Cox is mentally scarred. He overcomes this to play music and gain fame, winning over admiring fans. But the wealth comes with excess and madness, sending Cox spiralling out of control. Now I admit this is basically a funny comedy. Some might think ‘one of the 47 films I’m supposed to see before being murdered in my dreams? Really?’ But the answer is definitely yes. If only to show that there are decent Hollywood made comedies out there that don’t make you want to smash yourself in the face with a large polo mallet. So if you haven’t already seen it, give it a shot. It might make you laugh. For more of our 47 Films to see before you’re murdered in your dreams CLICK HERE.